Immanuel Mar Thoma Church is a parish under Diocese of North America and Europe of Mar Thoma Syrian Church of Malabar in India. Immanuel Mar Thoma Church, Virginia is the second parish in Washington DC area and the first parish in the State of Virginia under Diocese of North America & Europe. Immanuel Mar Thoma Church, Virginia conducts it’s Holy Communion Service at the Community Lutheran church located at Sterling, Virginia (Driving Directions). 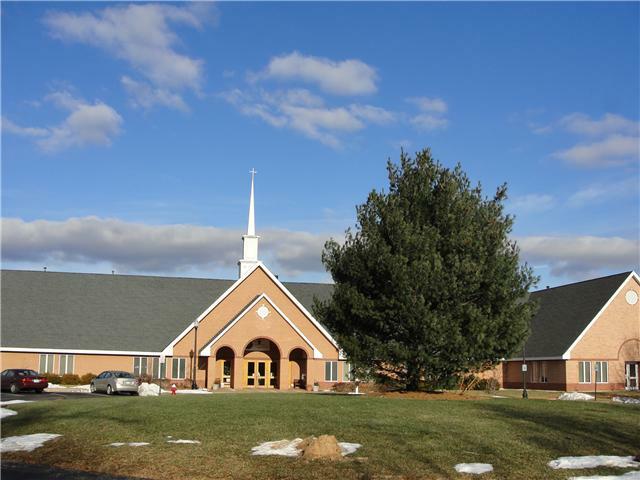 On February 15th, 2017 Immanuel Mar Thoma Church, Virginia settled on purchasing a land to construct a Church Building in Aldie, Virginia. Malankara Mar Thoma Syrian Church (Malankara Mar Thoma Suriyani Sabha as it is called in native Malayalam) is one of the oldest groups of praticising Christians in the world. Believed to be followers of one of the original disciples of Jesus Christ – St. Thomas (also called Didimus or Thomas, the doubter). It is widely believed that the Apostle St. Thomas came to Muziris on the south west coast of India in AD 52 and laid the foundations of Christianity in this part of the world. For more information about Mar Thoma Syrian Church of India, please visit http://marthoma.in/. For more information about Diocese of North America and Europe, please visit it’s website at www.marthomanae.org. Immanuel Mar Thoma Church, Virginia released its inaugural souvenir during the Inauguration function held at Sterling, Virginia on December 26th, 2010. If you would like to receive a copy of the souvenir, please email info@immanuelmarthoma.org. A preview of the first 15 pages that contains the messages from Our Bishops are linked.